Kawaii Easter Clipart: Chance to Win! Yay, spring break is now here and I'm in an Easter kind of mood. 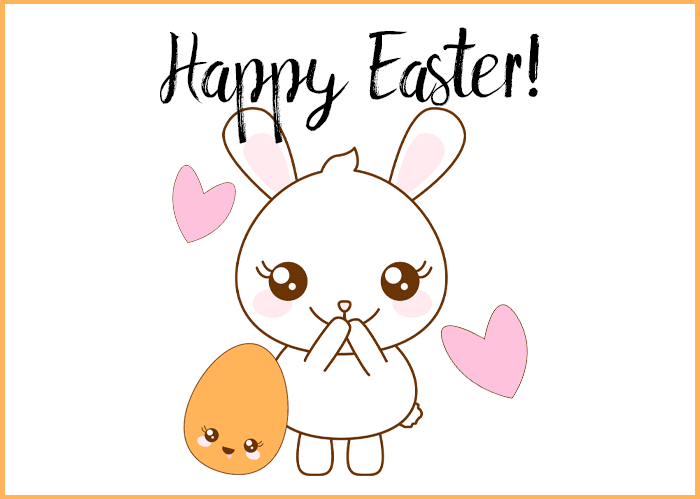 I also LOVE kawaii clipart, so I've combined the two to make these super cute Kawaii Easter clipart images! You can find them for $4 at TEACHERS PAY TEACHERS. They're also in my ETSY SHOP. All the images are 6 inches tall. They're png files (high quality) which means they have transparent backgrounds so they're GREAT for layering. If you'd like a chance to win the set, just leave me a comment with your email address. Next Friday I'll use the random number generator to pick one, two, maybe three winners ... depending upon how many comments are left. I decided to forego the random number generator and just give the clipart to all three commenters. Thanks for taking the time to leave a comment, ladies! I'm a sucker for bunny rabbits and those are so cute! :). Me too! I've had a couple of bunny pets. They're the sweetest!